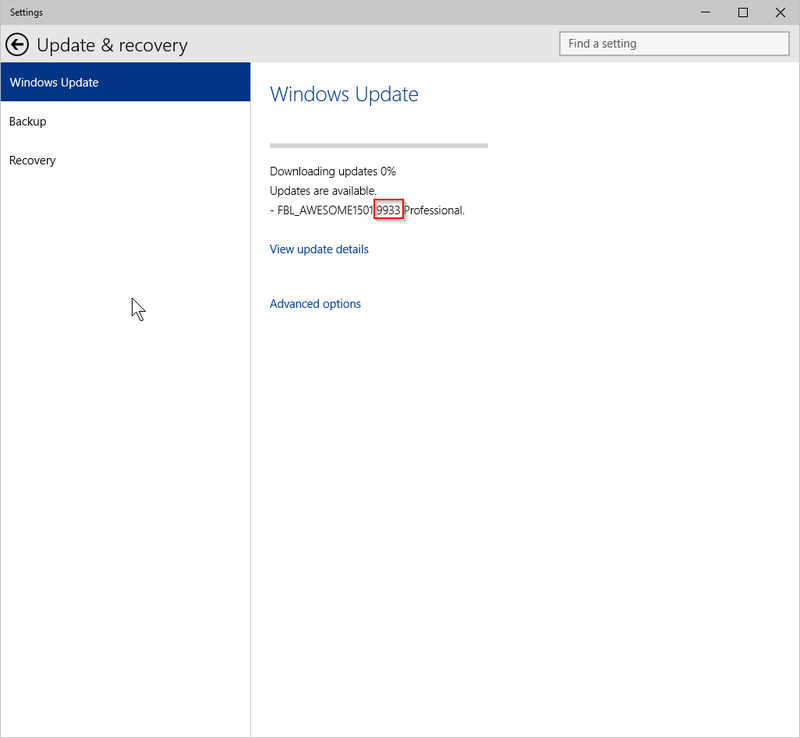 New Windows 10 build 9933 coming? @bc3tech@AnXboxDude@bdsams Yep, looks like this is on us - we're exposing some build offers that we shouldn't - sorry, only MSFT can get. I didn't bother to blog about the last couple of Windows 10 Technical Preview builds. They'd been talked about a lot and hyped or criticised enough. I wanted to take a couple of minutes though to say just how much I'm enjoying using Windows 8, Windows 8.1 and Windows 10. There's nothing wrong with them. Granted, the default user experience for Windows 8 was annoying, but so so easily rectified with something like Classic Shell. I didn't really understand all the complaints, if your house has a front door that's horrible, but basically really good other than that, excellent central heating, insulation, double glazing, then for goodness sake, just do a little redecoration and get over it!